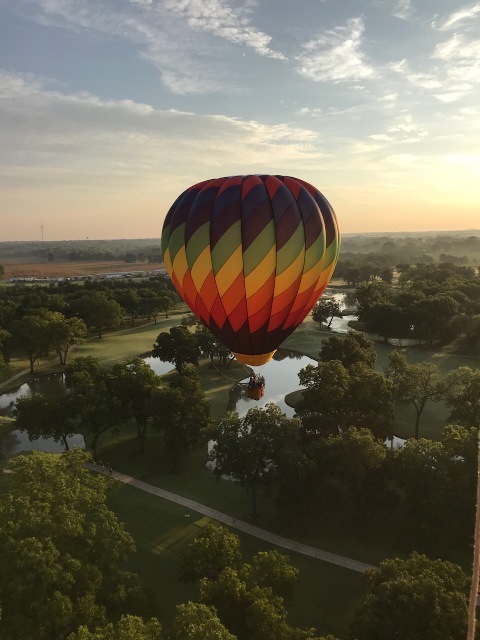 Another one of the Pilots returning this year is Michael Scott- “Spirit’s Rainbow”, is a multi-colored sawtooth spiral, which was designed by Josie Scott and holds 77,000 cubic foot of air. The envelope has two Breast Cancer Ribbons on it in memory of Michael’s mom. Spirit’s Rainbow is piloted by 2nd generation pilot Michael Scott. He has been involved in ballooning for over 30 years, spending the last 27 years as a pilot. Highlights of his flying career include over 1,850 hours as pilot in command, flights in 4 countries, 37 states, a long-distance balloon flight of 318 miles, and an ascent to 17,600 feet above the ground. 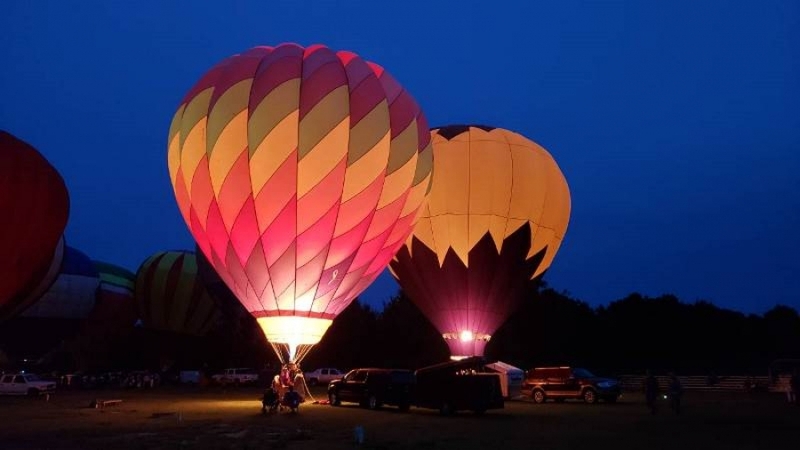 Michael has been one of Poteau Balloon Fest Media Pilots and a Balloon Glow Pilot 4 years. Admission is required for ages 4 & over. Gate admission is $5 per person. The Poteau Balloon Fest will again be held at the LeFlore County Fair Grounds, 5015 S. Broadway, Poteau, Oklahoma.